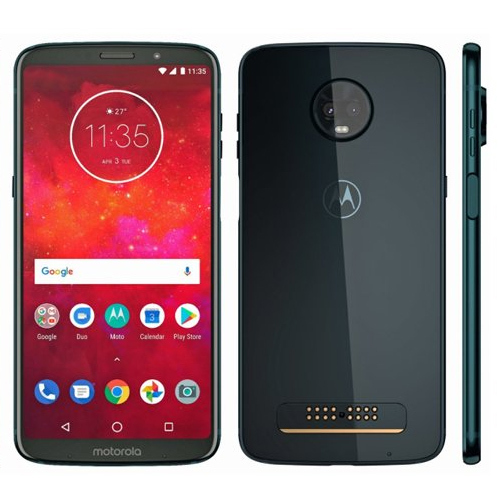 Motorola is expected to launch Moto Z3 Play on June 6 in Brazil. The Z3 Play will have a taller display with curved corners, which we assume carries an 18:9 aspect ratio. The newly leaked renders of the Moto Z3 Play by WinFuture show the phone from both back and front. In the renders, the rear panel of the phone is seen with dual camera setup housed in a circular module, just as the Moto Z2 Play. But the positioning of the camera set up seems to have changed a bit. The rear camera module on the Z3 Play is placed slightly lower than the Z2 Play. Apart from the camera, the rear panel of the phone flaunts the magnetic strips for Moto Mods. Tthe Motorola may launch new 5G Moto Mods alongside the Z3 Play on June 6. This means, the upcoming Z3 Play may come with both old as well as new Moto Mods support.